Approximately 3 by 4.25-inches when worked on 24 count fabric. 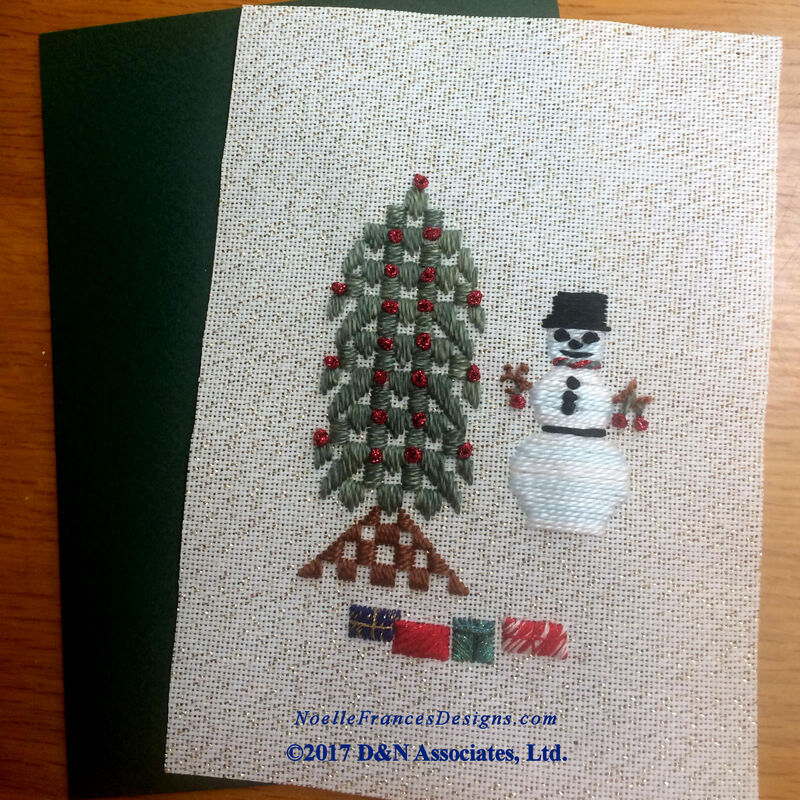 This design was created to fit within the (3.5 by 5-inch) window area of a 5 by 7-inch trifold card or as shown on the booklet’s cover secured onto the front of a 5 by 7-inch card stock with a white back (for writing a seasonal or personal message, if being given as a gift). Snowman Decorating Holiday Tree made into cards. Click below to purchase or view first pages of the 10-page booklet.